Ancient Egyptians valued beer and used it not only to get drunk, but as medicine and payment. Beer was of great importance in the ancient Egyptian society and its existence gave women an opportunity to earn extra money. Both adults and children enjoyed beer, and the drink brought many benefits to the Egyptian society. There is also evidence beer played a decisive role during the construction of the pyramids. Legends tells that god Osiris himself taught humanity the art of brewing. So, naturally beer was considered the drink of the gods. The first known beer was called kui, brewed by the ancient Chinese around 7,000 BC. Kui was made from rice, honey and fruit, but the first barley beer was most likely born in the Middle East. However, the oldest evidence of beer is believed to be a 6,000-year-old Sumerian tablet depicting people drinking a beverage through reed straws from a communal bowl. 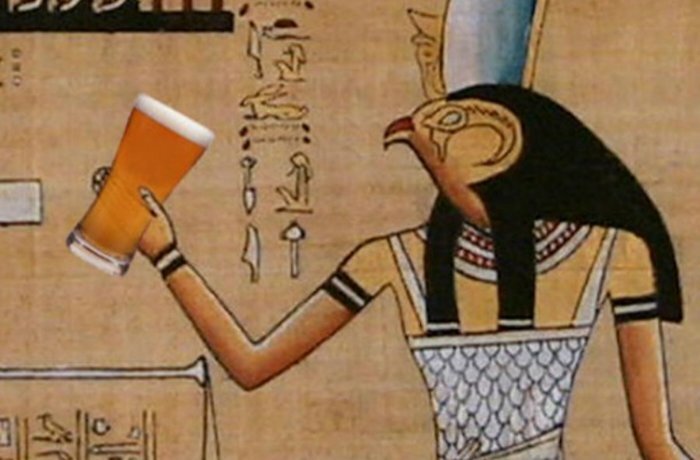 When ancient Egyptians learned about beer, they too wanted to make it part of their society and they quickly noticed all the benefits beer had to offer. The common name for beer in ancient Egypt was heqet (also given as hecht and henket) or tenemu (giving the goddess Tenenet her name), but there were also names for specific types of beer. Women became the first brewers in ancient Egypt. Wine was the drink of the wealthy. Beer was the staple drink of poor Egyptians, but was also central to the diet of wealthy Egyptians. Ancient Egyptian considered beer to be a powerful medicine that strengthened the body. About 5,000 years ago, doctors in Egypt believed that beer holds the soul (ka). Ancient Egyptians believed the soul had three parts, the ka, the ba, and the akh. Beer was considered a source of nutrition and not just an intoxicant. Almost 100 Egyptian drugs contained beer, and preserved sources from around 1,500 B.C. show that approximately several patients received medication containing beer. Wages were often paid in beer and workers living in the workers village at Giza received beer three times a day as part of their rations. Archaeologists excavating in Egypt have discovered that payment through beer was very common in various parts of the country. This also provides evidence that the great monuments were not built by slaves, but by paid Egyptian labor. Beer was naturally also used to get drunk. It was was classified according to alcoholic strength and flavor, with the average beer having an alcohol content of 3-4% while beer used in religious festivals or ceremonies had a higher alcohol content and was considered of better quality. During the the festivals of Bast, Sekhmet and Hathor people would get very drunk. Drinking beer was part their worship of these Egyptian goddesses. 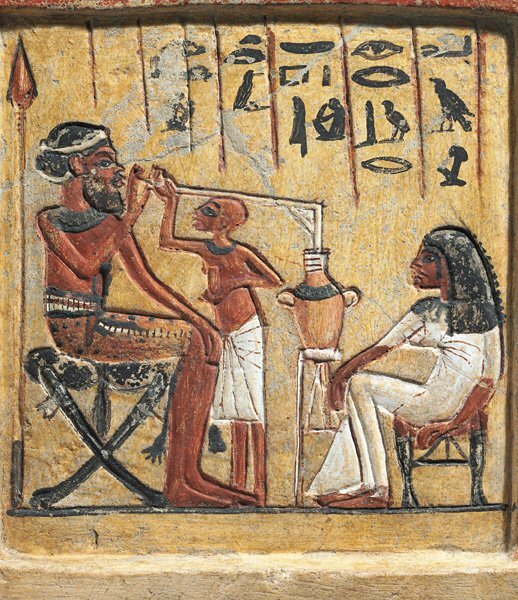 Offering beer to gods was also common in ancient Egypt.